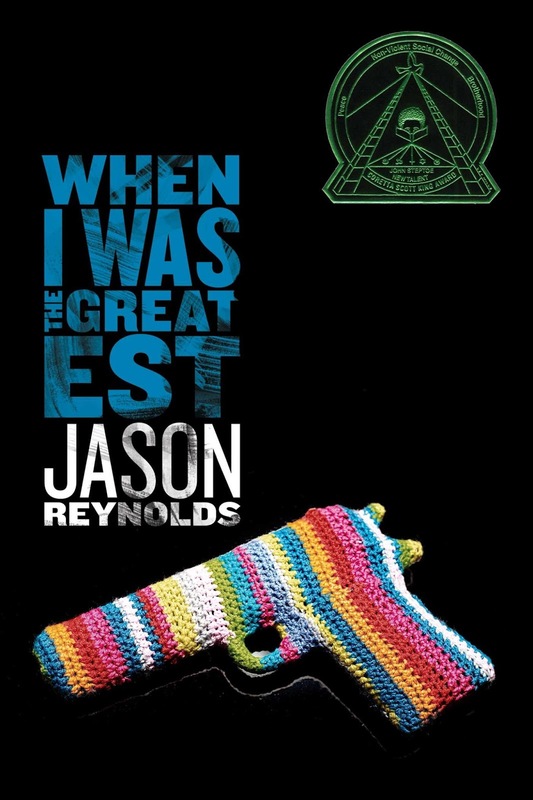 Random And Some: "Maybe it was a mistake so big that my family would be paying for it forever"
"Maybe it was a mistake so big that my family would be paying for it forever"
I just finished reading When I Was The Greatest (2014) by Jason Reynolds. I had it laying around since Christmas (thanks Katrien! ), but I only recently found the time to dive in. The book came to me via BuzzFeed's 21 Books Everyone Needs To Read Before They Die listicle. Also on that list are Harper Lee's To Kill a Mockingbird and J.K. Rowling's entire Harry Potter series. Ali lives in Bed-Stuy, New York, with his mom, a social workerr, and his little sister Jazz. He hangs out on the stoop with his best friends, brothers nicknamed Noodles and Needles. Needles, the older, suffers from Tourette's syndrome, and Noodles and Ali look out for him. When the three boys crash an illegal party in the basement of a nearby brownstone and then deal with the fallout. When I Was The Greatest reads as a tender homage to Bed-Stuy. Ali and his friends are sweet, good kids, and their moving and thought-provoking story of growing up in Brooklyn is an exquisite study of the connectivity among a family and friends. Super enjoyable read if you're looking for original, addictive and believable urban fiction.